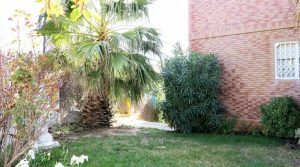 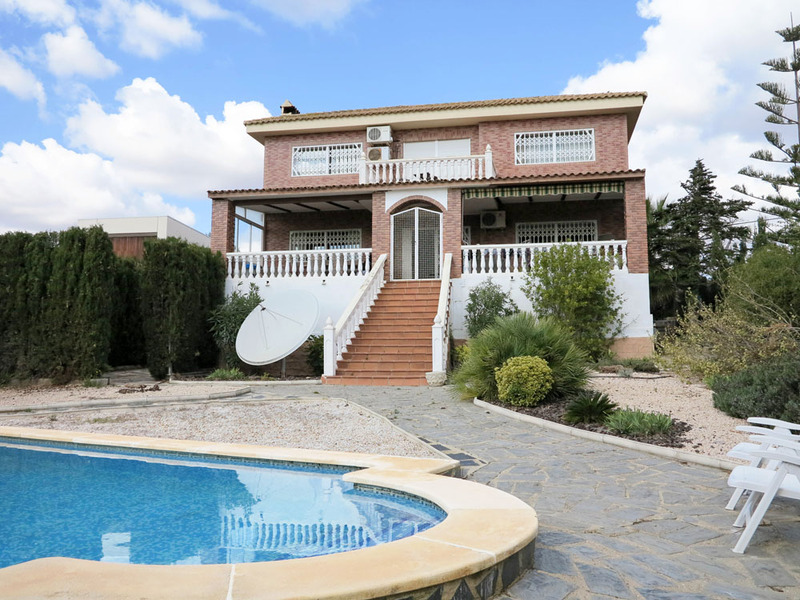 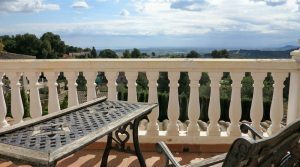 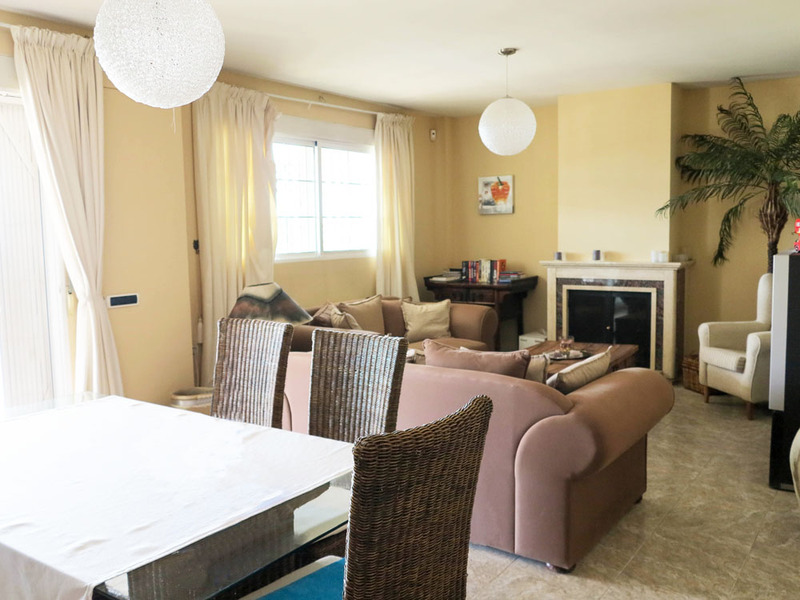 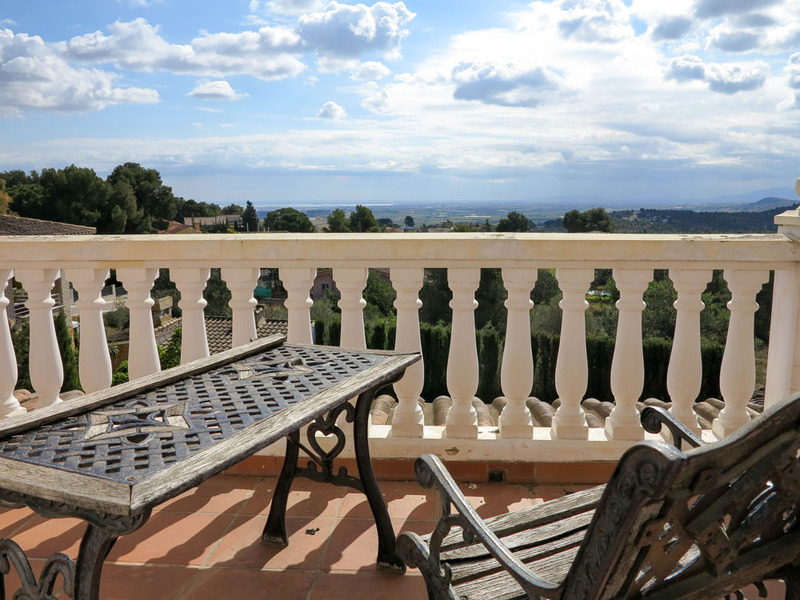 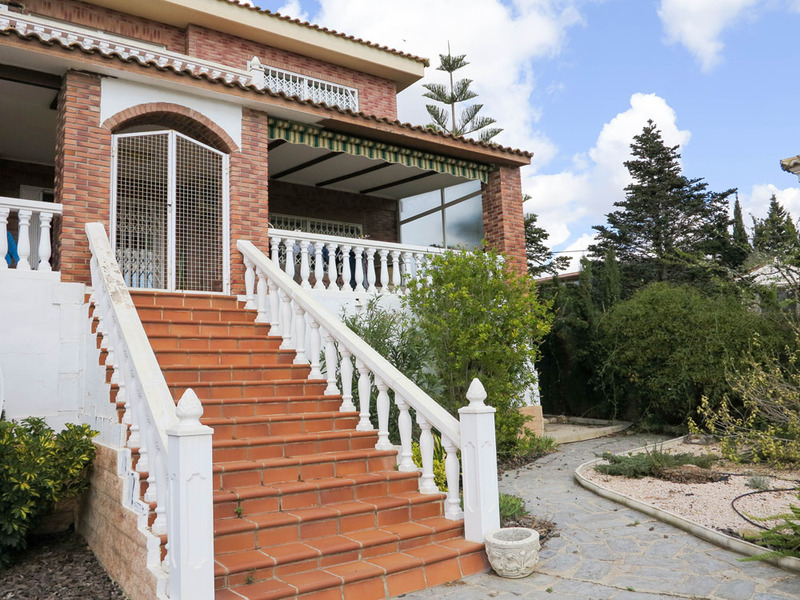 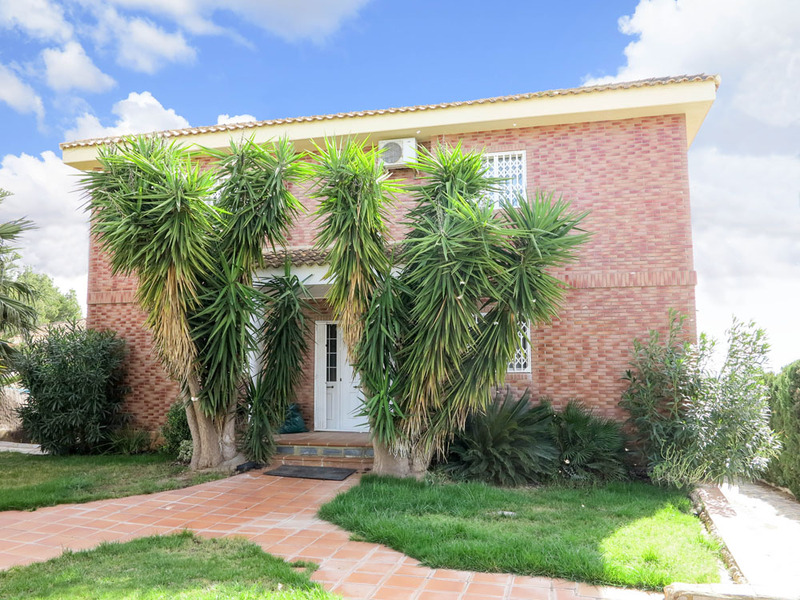 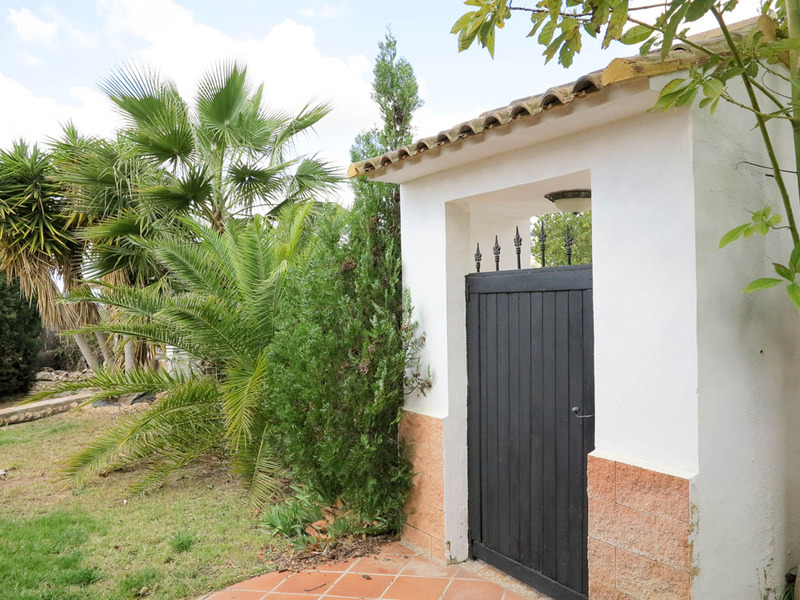 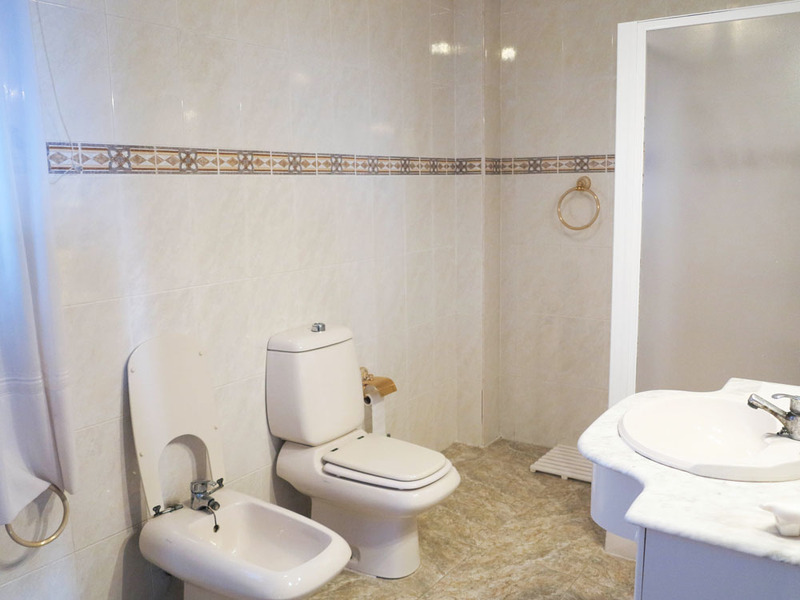 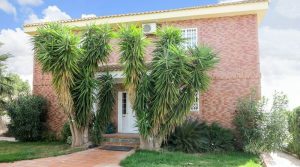 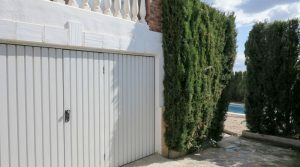 This large property for sale in Valencia is located on the prestigious Virgen de Monserrat urbanisation, which is situated between Monserrat and Torrent heading towards Valencia city. 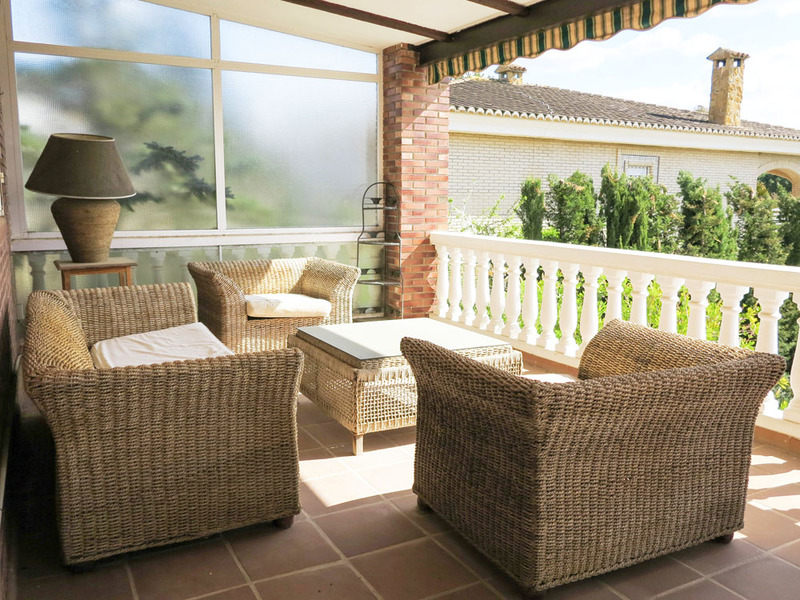 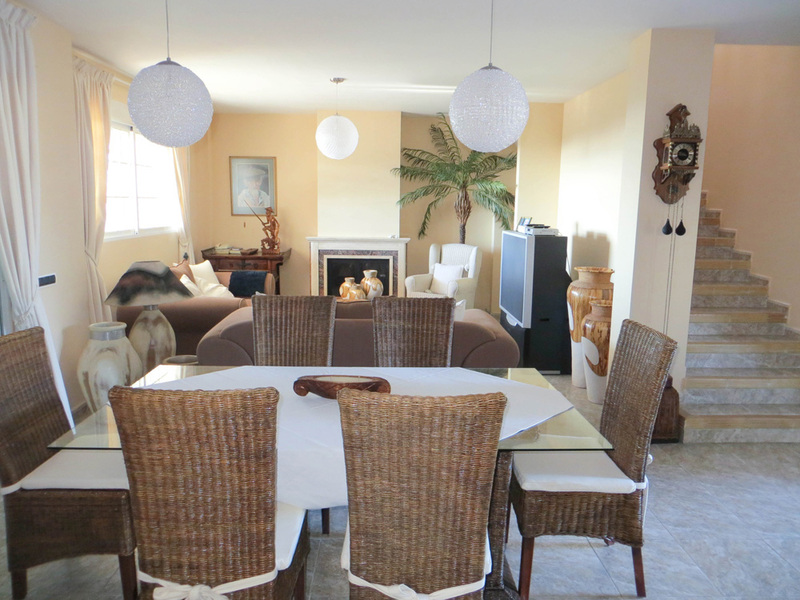 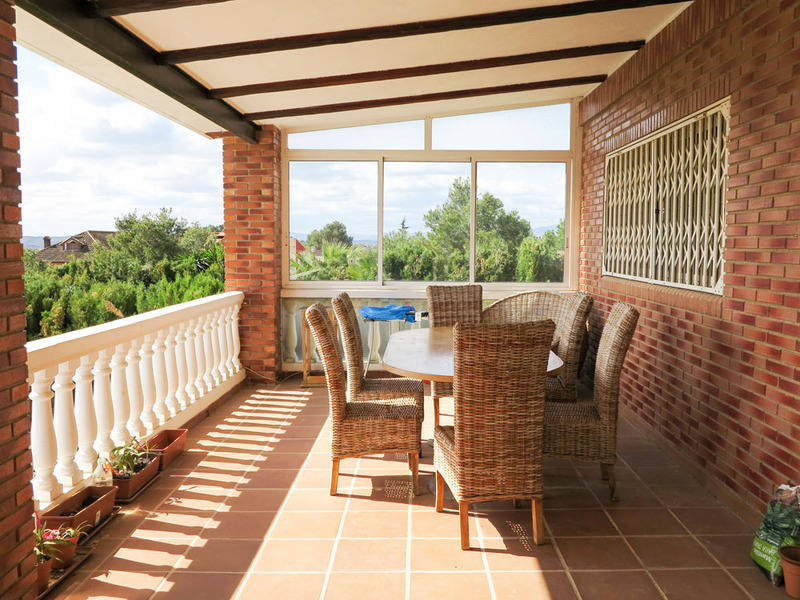 This spacious villa has been beautifully presented and built from quality materials throughout. 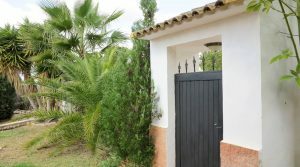 Also complete with an electric front gate at the entrance, double glazed windows, excellent tiling, and central heating. 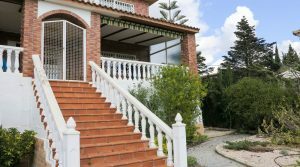 You have a porch at the entry with a large front door that opens to a reception area for your coats and shoes. 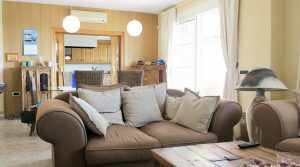 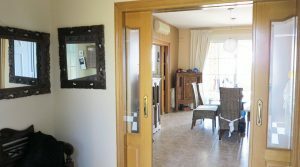 This area flows through to the spacious lounge/dining room complete with a log burning stove and hot/cold air conditioning. 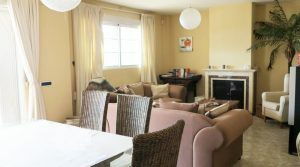 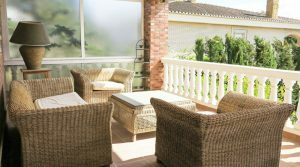 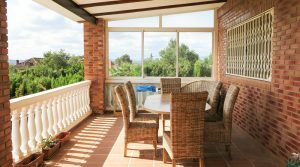 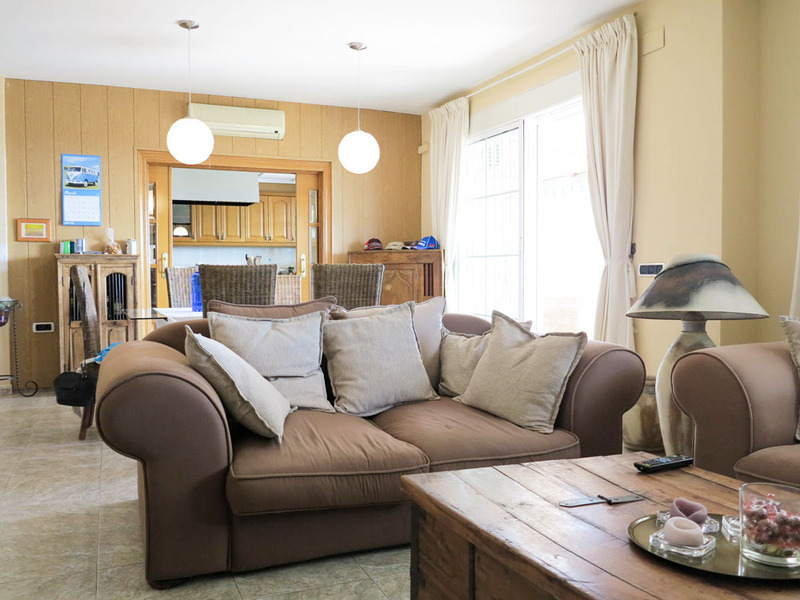 The lounge has patio doors opening out to the large covered terrace at the rear of the villa where you can enjoy panoramic sea views across to Valencia and the Mediterranean coastline. 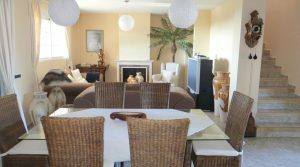 Adjacent to the lounge/dining room you have the very spacious kitten complete with a central island and a breakfast dining area. 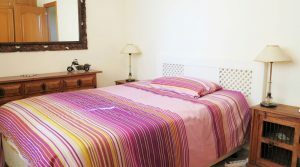 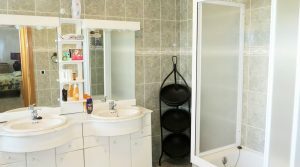 Also on this ground floor, you have a bedroom which is currently being used as a study and there is also a bathroom complete with hydro-massage shower. 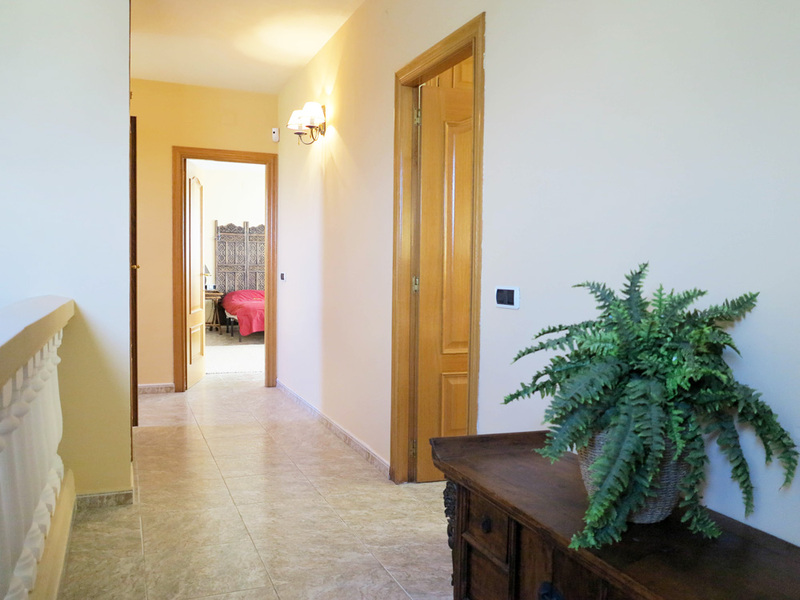 Moving up the wide staircase to the first floor, you arrive at a balcony hallway which distributes to each of the rooms on this first floor. 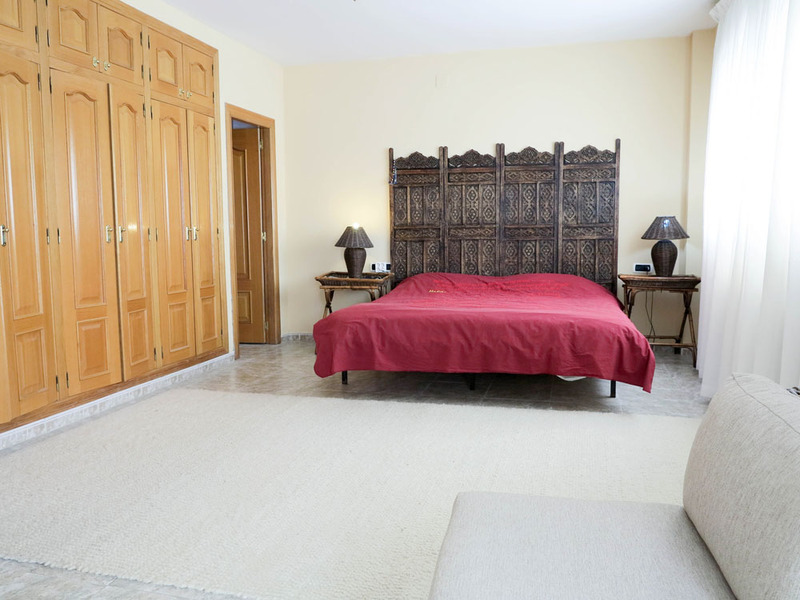 The master bedroom is very big and it has its own seating area in the bedroom, together with patio doors taking you out to a private balcony terrace, where you can enjoy those sea views. 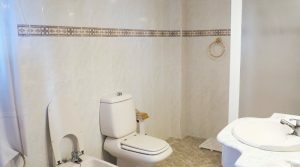 This large master bedroom has fitted wardrobes, hot/cold air conditioning and a wonderful en-suite bathroom complete with a jacuzzi bath. 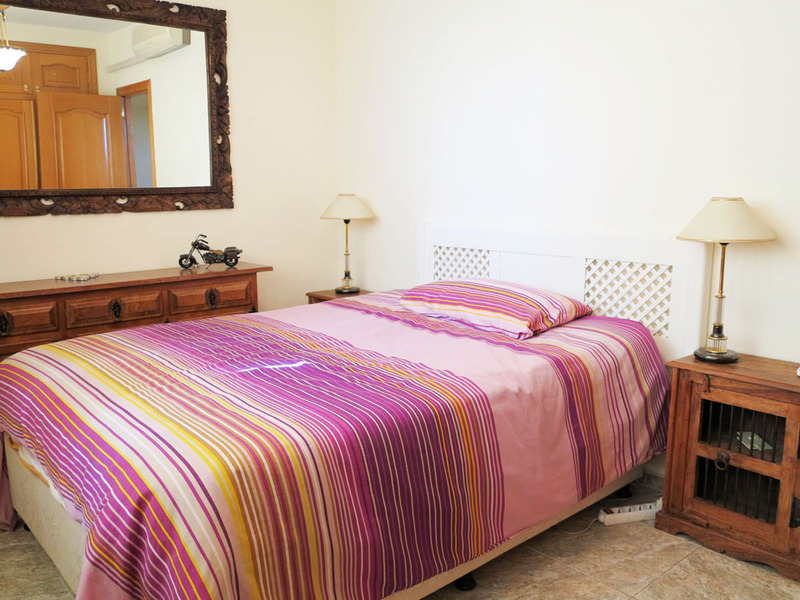 Then there are two further double bedrooms each with fitted wardrobes and with hot/cold air conditioning. 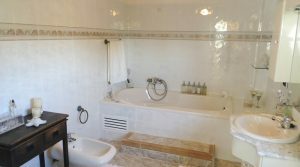 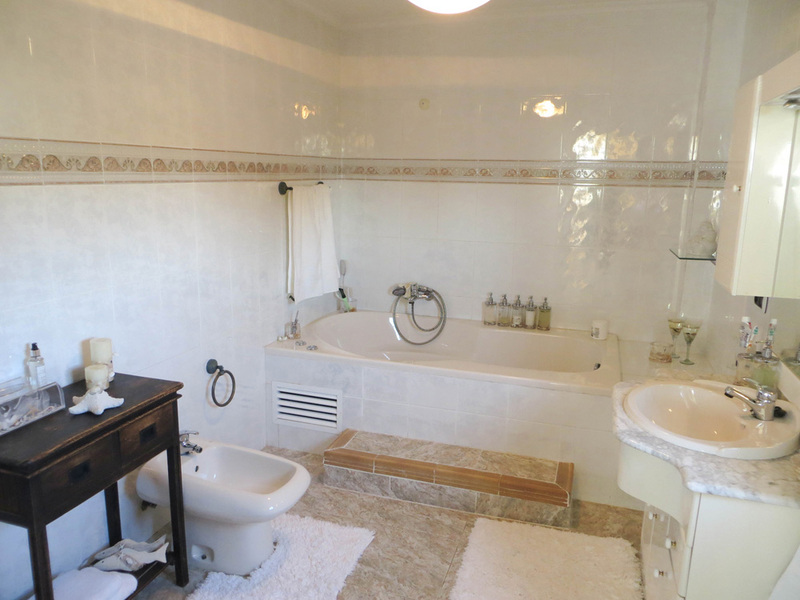 Then you have a large bathroom for guests also on this first floor, together with a towel and linen cupboard located in the hallway. 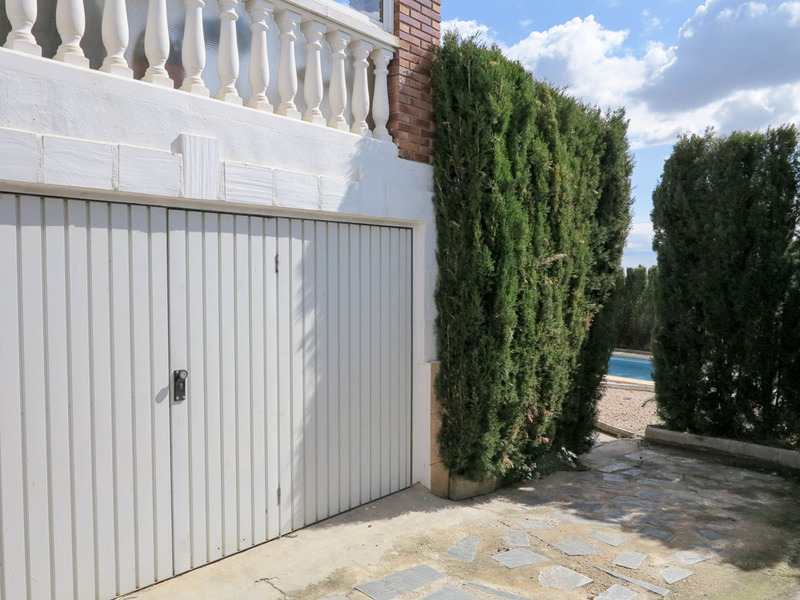 In the underbuild section of the villa, you have a large garage complete with clean and tiled floor. 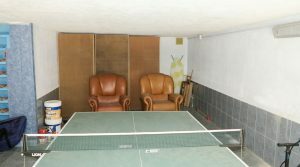 The current owners use this garage as a gymnasium and place for their table tennis table, but it is large enough to fit two cars in. 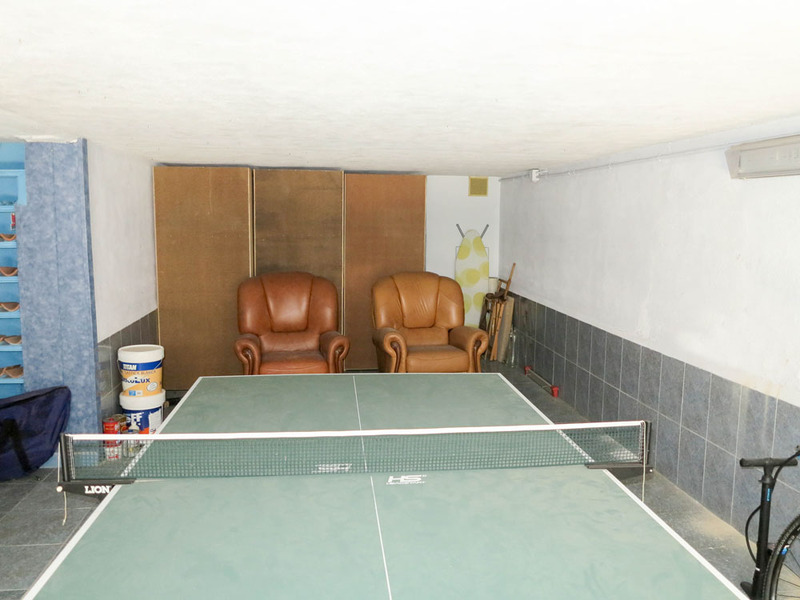 There is also a large storeroom accessed from inside the garage. 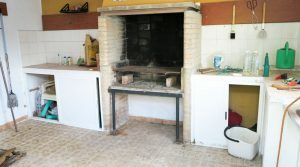 This is where the central heating boiler and oil deposit tank are located. 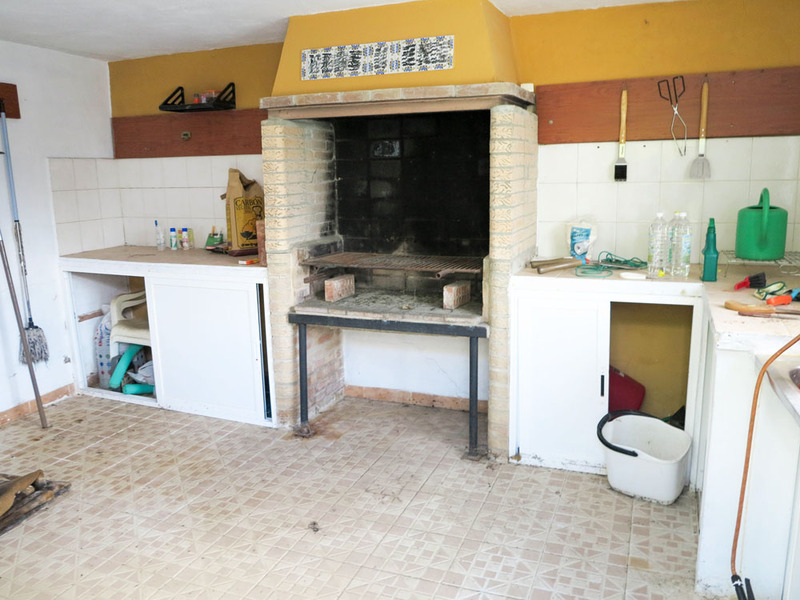 There are also 2 x 1000-litre water deposit tanks kept here in this underbuild as an emergency water supply for the property should it ever be required. 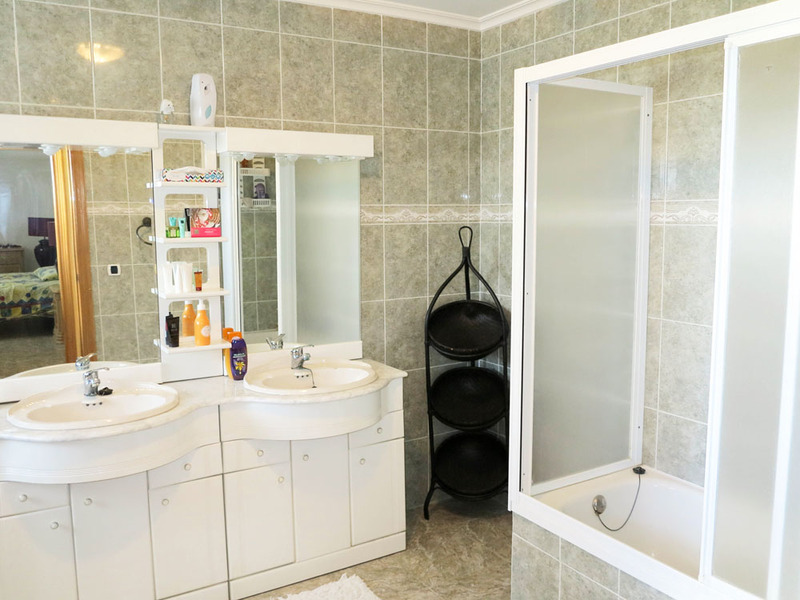 However, this urbanisation has mains drinking water connected and the supply is reliable. 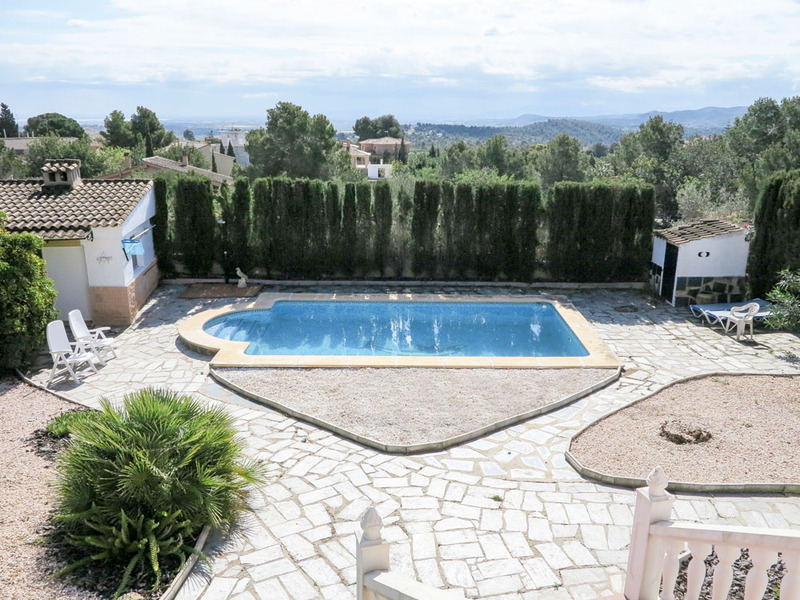 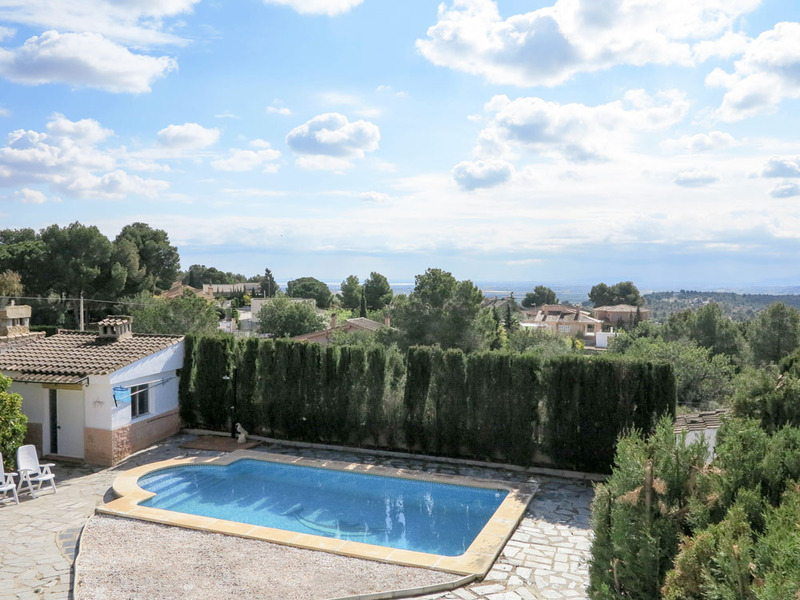 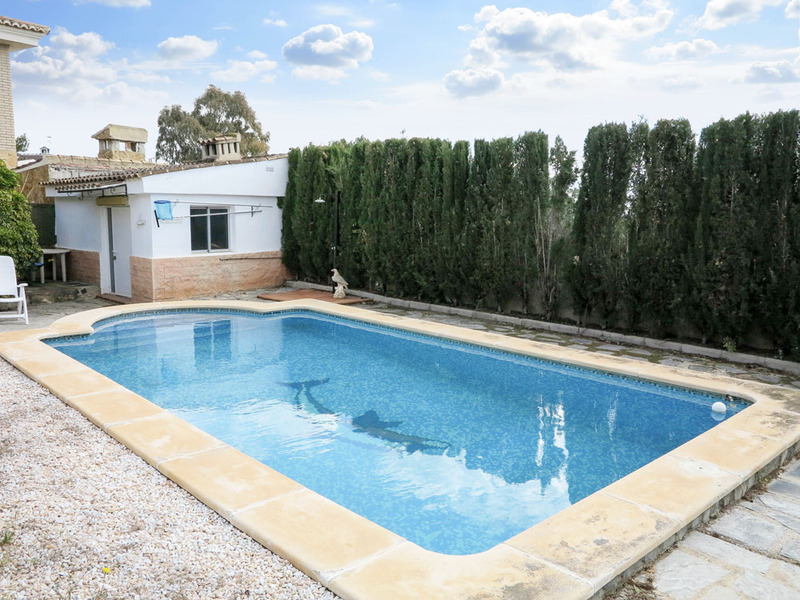 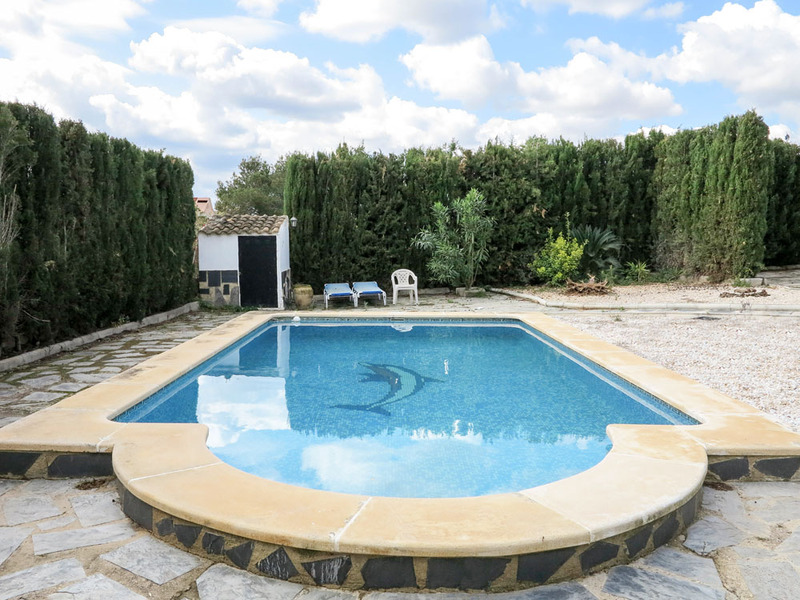 In the back gardens of the villa, you have an 8m x 4m tiled swimming pool with a terrace surrounding it for sunbathing while enjoying views of your gardens. 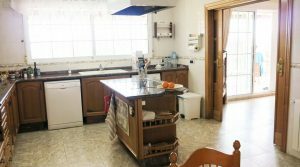 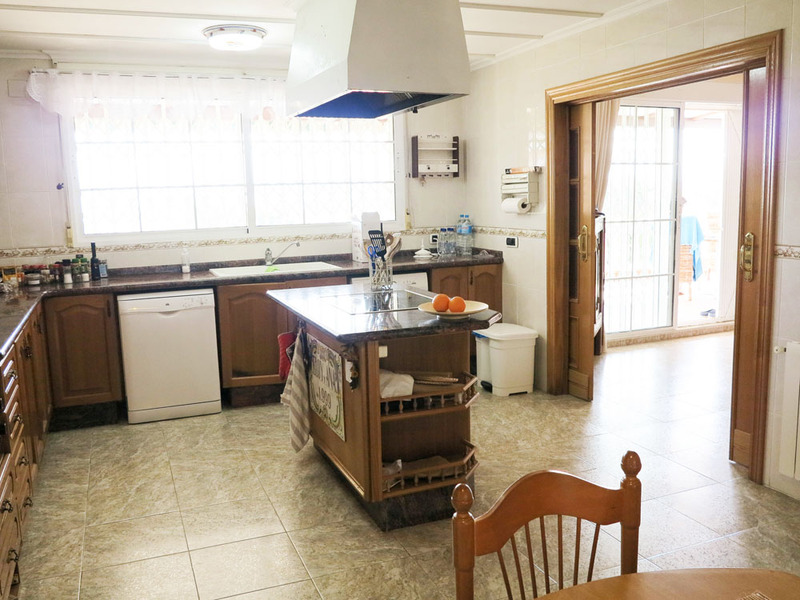 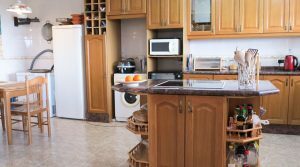 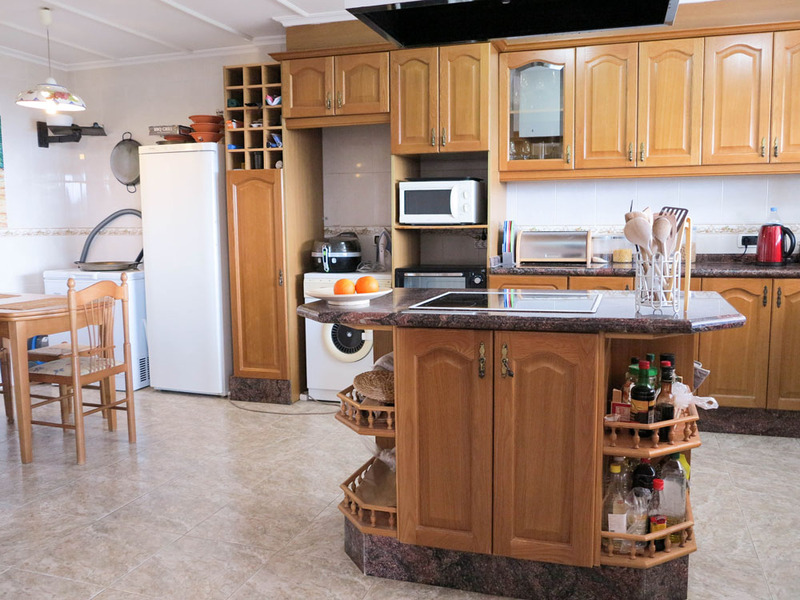 There is a good sized outside kitchen situated next to the swimming pool terrace and a poolside shower. 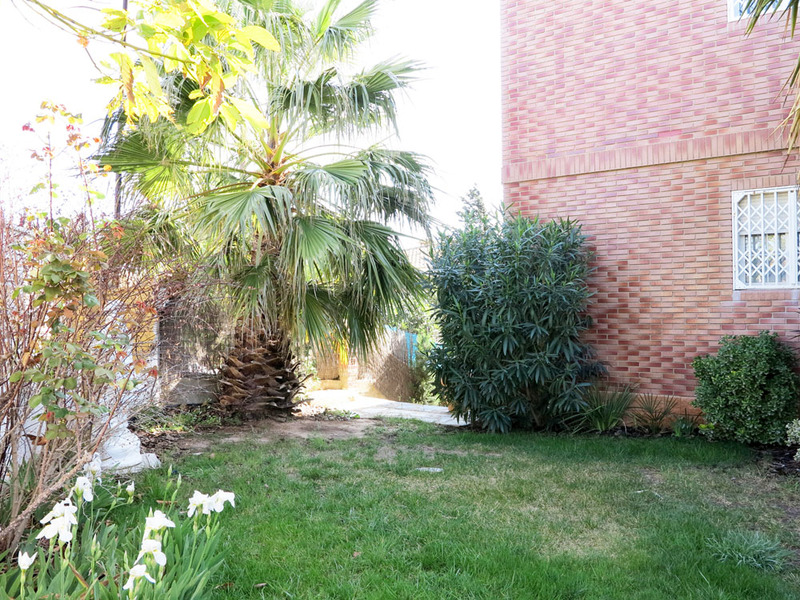 The gardens have been landscaped and you have palm trees complemented by lawned grass areas, all with an automatic irrigation system installed. 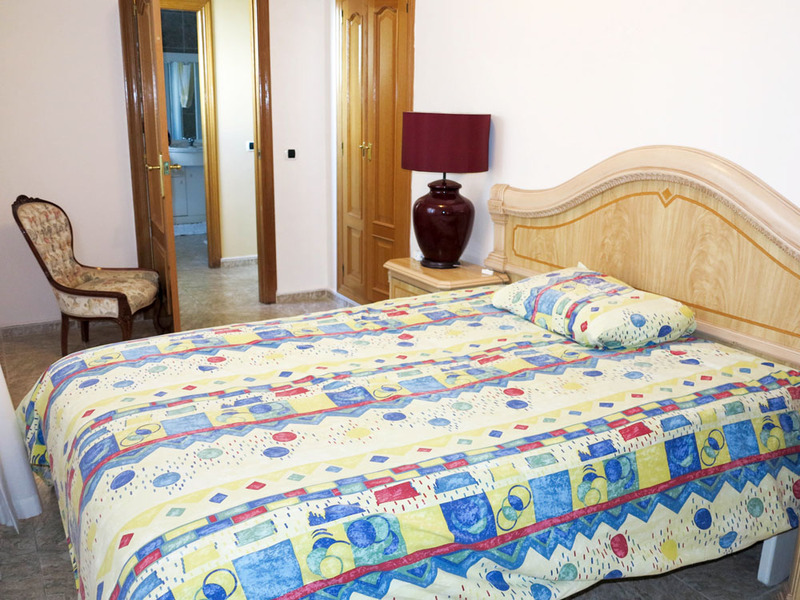 The property has a 24 hour monitored alarm system and high-speed internet. 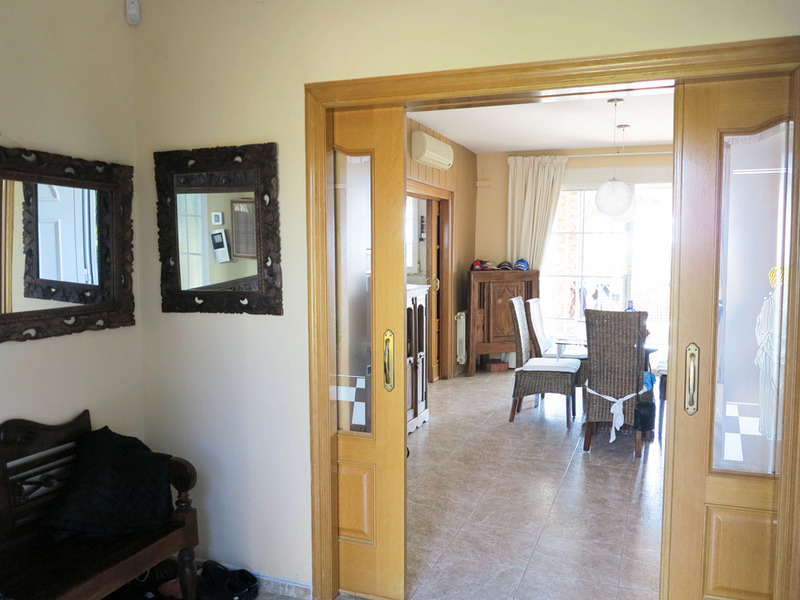 This lovely property is being sold partly furnished.